Mark is a shareholder in the firm, focusing his practice on civil litigation. 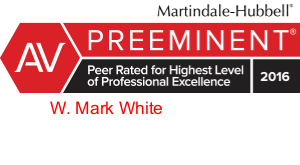 Mark’s experience and practice includes commercial litigation; appellate advocacy; construction litigation; real estate and land use planning litigation; government and constitutional litigation; banking and creditor/debtor litigation; professional negligence defense; employment and labor law; and corporate law. Mark has chaired the South Carolina Bar’s Practice and Procedure Committee; served on the Editorial Board of the Bar’s magazine, The South Carolina Lawyer; and has been a member of the Bar’s House of Delegates. Mark’s civic activities include membership in the Rock Hill Rotary Club and First Baptist Church, where he is a Sunday school teacher, coach and youth leader. Catawba Indian Tribe of South Carolina v. City of Rock Hill, SC, 501 F.3d 368 (4th Cir. 2007).